For all sorts of reasons, folks are often looking for a well-managed, safe, and affordable place to store their stuff. The same goes for the online world. And we’re so thankful to be the one-stop internet marketing solution for Ward Mini Storage & Truck Rental. 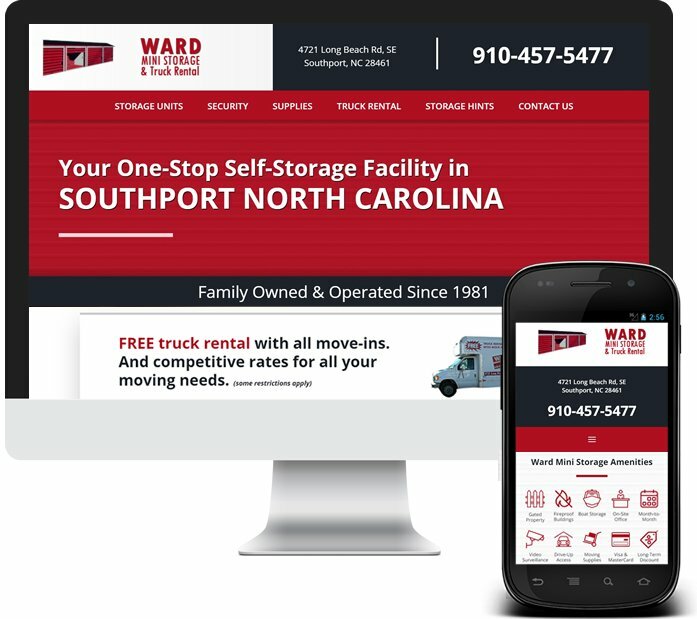 Family owned and run since 1981, the Wards pulled their moving truck up to our doors with a clear vision of how to organize their online marketing space. With their existing content and logo in our hands, the red and black branding instantly felt so modern on this responsive, custom website design. A monthly MyUntangled® maintenance plan keeps watch on all of the important stuff. If you’re looking for storage units in Southport NC and vicinity, Ward Mini Storage & Truck Rental is ready for all of your stuff, too!